High risk, low margin. This all-too-familiar description of the construction industry is at the heart of contractors’ laser focus on bottom line profitability and overcoming the variables that can (and often do) go awry. The proof of that challenge is in the numbers. 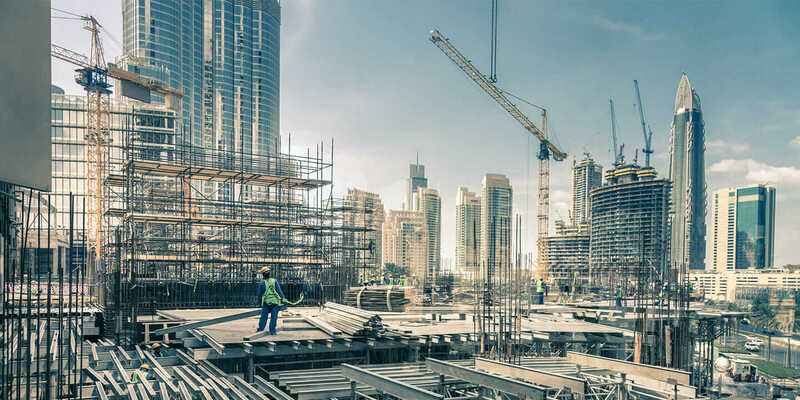 According to KPMG’s “Climbing the Curve, 2015 Global Construction Project Owner’s Survey,” just a quarter of construction projects in the past three years came within 10 percent of their original deadlines. And Turner and Townsend’s 2016 International Construction Market Survey found that the average global construction project margin fell from an already-low 6.3 percent in 2015 to 6.1 percent. No matter the size of the project or the timeline, there has always been a harsh reality: Expect the unexpected. But what if you could remove more of the surprises and reduce risk—all with increased profits? The push for BIM originally started with owners wanting more efficient results. Now it has cascaded throughout the design process and all the players. This isn’t just the future of construction any longer—it’s happening because the benefits of BIM are too compelling to ignore. The book Getting to Grips With BIM: A Guide for Small and Medium-Sized Architecture, Engineering, and Construction Firms reported that in 2013–2014, BIM was a significant contributor to saving more than £800 million in construction costs in the United Kingdom alone. 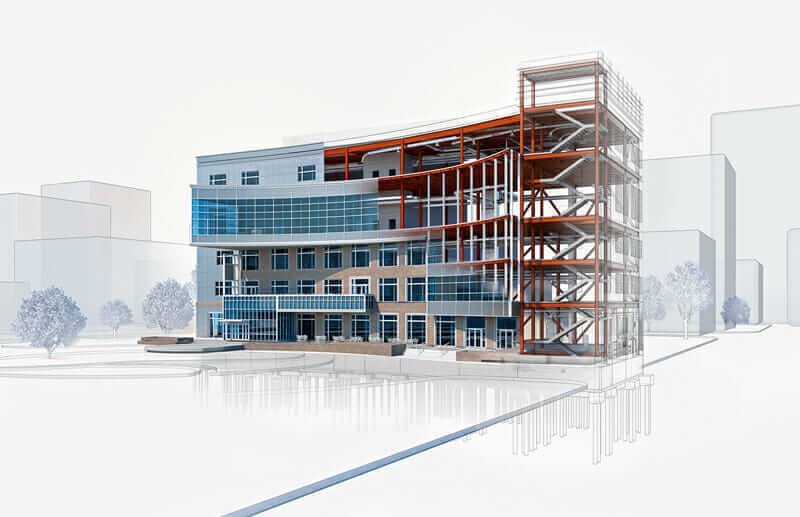 DPR Construction was an early champion of BIM in 1997 and achieved a major breakthrough on Sutter Health’s Camino Medical Group Mountain View campus, which was completed in 2007. Camino was the first DPR project to use a combination of BIM, integrated project delivery (IPD), and Lean methodology. “On the Camino project, the team’s strategic use of BIM on the 250,000-square-foot outpatient medical center resulted in an estimated cost and time savings of at least $9 million and six months over the traditional CM-at-risk approach,” DPR wrote in an “18 Years of BIM” article. “Since then, the benefits and services of BIM have continued to evolve. Now, almost 10 years after the start of the Camino project and 18 years since we first started using it, we use BIM on 85 percent of our projects before work even begins in the field.” BIM can—and does—make an impact on construction jobs and beyond. The construction site is going digital—there’s no way around it. BIM is known for visualization and the benefits derived from it. But one of BIM’s biggest cost savings for construction comes from the inherent collaboration that it promotes. The silos of owner, architect, construction managers, and contractors are obliterated. Everyone is on the same page, and all the data can be collected, stored, and shared. This makes projections and actual construction much more accurate and transparent. Materials are saved; timelines are tightened. Rework is one of the largest contributors to construction projects going in the red. Realistically, rework may never be completely eliminated, but it can be drastically reduced, saving thousands or even millions of dollars depending on the project. Moving from 5 percent to 2 percent of rework is huge. BIM’s detailed information included in the model contributes to reduced rework through the ability to improve clash detection and subcontractor scheduling. Teams can see the problems before the inherent waste happens. And construction stakeholders typically get involved much sooner in the design and planning process in a BIM-enabled project, which helps eliminate rework even earlier. Safety is paramount, especially to prevent and reduce injuries and associated costs. BIM aids in this by identifying potential safety hazards both in the planning phase and onsite. Through visualizations, workers can prepare and understand the entire area to mitigate risks. When potential injuries and lives are at stake, this is the ultimate bottom line that any construction team wants to achieve. Technologies disrupting the construction industry run the gamut from mobile devices to virtual reality, drones, laser scanning, the Internet of Things, and the cloud. The construction site is going digital—there’s no way around it. As the pace of smart technology continues its rapid ascent, the construction industry must embrace it in order to achieve increased profits. BIM can help stakeholders get a handle on all of these technologies—and put them to work for greater efficiency and productivity. 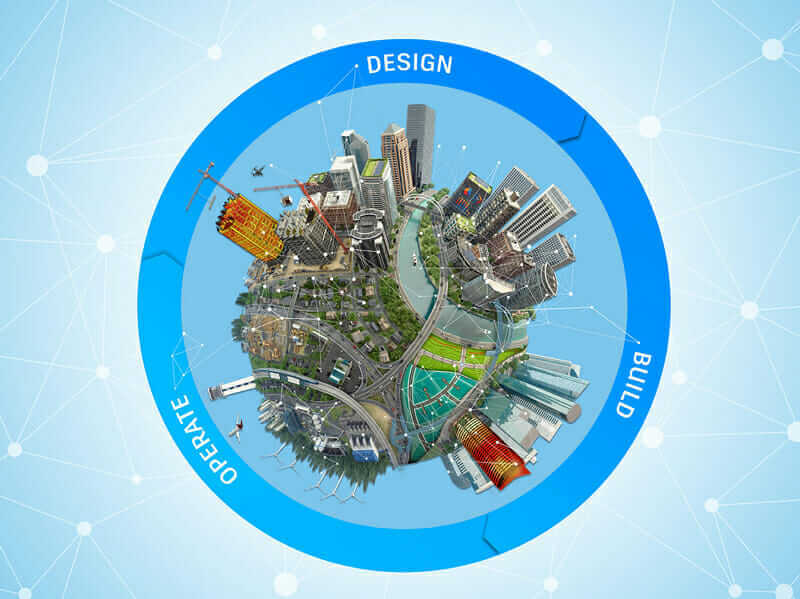 China Construction Engineering Third Bureau Group Co., winner of the AEC Excellence Awards, recently used BIM as a unified platform for Internet of Things applications on the construction site of the Tencent Beijing Headquarters project. Allison Huffman is industry initiative marketing manager for Autodesk. A version of this article appeared previously on Construction Executive.